TORONTO, ON — For most people, the time-honored New Year’s resolution to get healthier will be toast by mid-February. But if you’re determined to focus on health and wellness in 2018, experts say you should sleep on it. Sitting all day, a lack of regular exercise, eating unhealthy food, and working in a stressful environment, all tend to put drivers in a high-risk category for some major and possibly life-shortening complications. Canadian researchers, however, are paying particular attention to the sleeping habits of those who work behind the wheel. Geoff Fernie, senior scientist and director of the Research Institute at the Toronto Rehabilitation Institute, is heading up a study at the University Health Network’s (UHN) DriverLab to identify the prevalence of sleep apnea among Canadian truck drivers. The first-of-its-kind research in Canada will look at 1,000 drivers, and compare identified cases of sleep apnea to records on the road. Fernie says currently no hard evidence exists to support the widely discussed theory that sleep apnea causes drivers to be less functional behind the wheel, though it’s not difficult to see why a correlation likely exists. That stress and lack of restful sleep also puts drivers at a higher risk for developing other habits that cause health-related issues. Suffering from fatigue means you’re more likely to crave snacks full of sugar and carbohydrates as a means to boost energy, which may lead to conditions like high blood pressure, Type 2 diabetes, and obesity, says University of Waterloo Public Health and Health Systems associate professor Philip Bigelow. Those not getting regular sleep are also three to four times more likely to suffer a stroke or heart disease. For commercial drivers, fatigue and drowsiness can be the result of increased body pains, too. Sitting all day is often enough to give any worker lower back pain, but a study of Manitoba drivers is looking into the effects of low-level vibration drivers experience as they sit in a moving vehicle. Preliminary results are pointing to drowsiness during the day, and aches that last throughout the night, interrupting sleep over the longer term. Bigelow hopes the evidence will help fleets make better choices when it comes to adopting new technologies, such as low-vibration seats. Steve Kane, a former driver who is now the president of Rolling Strong, is also helping fleets develop the health-related programs that support proper sleep ­patterns, among other benefits. Rolling Strong recently launch a mobile app that connects drivers to an overall plan to be healthier, with access to features that suggest healthy food, provide ideas for short workouts in and around a truck, and track the all-important sleep. The program helps with workouts in the tight confines of a truck, something that’s important not just for managing weight but for eliminating those aches that can keep you awake at night. “When you’re sitting there sedentary for 11-14 hours a day, your joints become restricted, making them susceptible to injuries,” says Kane. While Rolling Strong provides a small medicine ball, bands, and other exercise equipment that can be used in combination with a truck, it also identifies brief exercise regimes – each lasting under 30 minutes – that can be done with no equipment at all. Rolling Strong’s app isn’t the only piece of technology affecting driver sleep and health. Bigelow believes Electronic Logging Devices could pave the way for people to get more sleep. He says researchers often hear about drivers being pushed to drive further or longer, either because schedules are tight, relationships with dispatchers are testy, or parking isn’t available – all issues costing drivers rest and affecting their health. Hours of Service regulations never included “wiggle room” to find food or ­parking, but the shift to electronic logs has brought the lack of appropriate rest stops to the attention of researchers and government alike. SPR Associates and the Ontario Ministry of Transportation, for example, are currently running a survey on truck parking in Southern Ontario – something survey author Ted Harvey says is severely lacking. Bigelow says the survey is important because it will allow infrastructure ­planning to help create safe, available places for drivers to stop and take a break, or stop for the night. Something that impacts their ability to get enough sleep and their safety on the road. And the link between sleep, health, and safety is undeniable. Want to have a say on truck parking throughout Southern Ontario? Visit www.spr.ca/trucking/survey before mid-February. 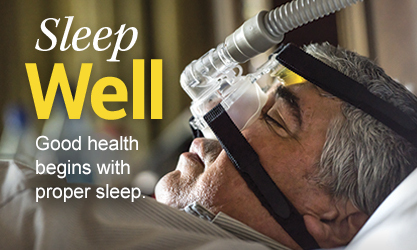 You can even make $50 by participating in the University Health Network’s study on sleep apnea. It involves a complete one-night sleep study at home, and will confirm if you have sleep apnea. To participate in that research, email Laura Gibson at laura.gibson@uhn.ca. University of Chicago researchers found that high blood pressure, stress hormones, insulin resistance, and inattention all increased with just six nights of less-than-recommended sleep. While those suffering from a chronic sleep deficit may find it hard to recoup their losses, experts say temporary sleep deficits can be addressed with just an extra hour of sleep a night. The United States Center for Disease Control (CDC) says where you sleep matters. Keep the cab as cool as possible, and block out noise and light by using earplugs, curtains, or even a white noise machine. Plan the time to rest. Seven to nine hours of sleep is recommended each night. Remember to add an extra hour if you’re making up for lost time. Put down the phone. Texting or watching TV before bed will keep you awake. Instead, read a book the old-fashioned way, or do some other quiet activity if you need help winding down. Don’t drink coffee, exercise, or smoke before bed. Caffeine, nicotine, and the adrenaline produced by exercise are all stimulants and will keep you wide-eyed for longer. What you eat before hitting the bunk matters, too. Don’t consume too many ­liquids, alcohol, or spicy foods before lying down, or you could find yourself having to get up in the middle of the night to go to the bathroom, or dealing with indigestion.